Does Your Heart Beat True to Me? Copyright, 1881, by Spear & Dehnhoff. Words and Music by Thomas Maxwell. Her bosom heaved a heavy sigh, methinks I see her yet. So I ask thee, love, by the stars above, does your heart beat true to me? 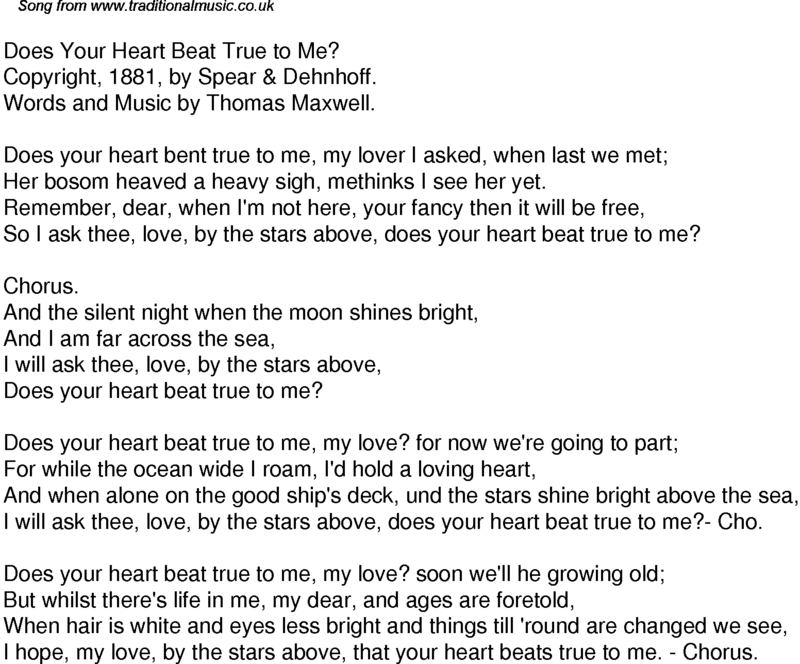 I will ask thee, love, by the stars above, does your heart beat true to me?- Cho. I hope, my love, by the stars above, that your heart beats true to me. - Chorus.